As a business major I have a strong interest in finance. During my time at Helsinki Metropolia Business School, I felt urge to form some kind of a society or a club, where I could discuss and share ideas concerning the field with my fellow students. 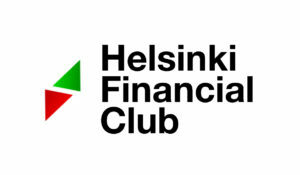 That incentive gave birth to the Helsinki Financial Club, in this post I will explain what it is and how exactly I think it will benefit people around me. We all know that investment banking and management consulting, which are two core fields of focus for the club, are intellectually challenging kinds of jobs. It means that an average student will be hopelessly disadvantage when applying for an internship position, even more so for full-time, if he or she doesn’t put extra effort into preparation. So, I spent lots of time studying what top banks and consultancies are looking for in candidates and tried to derive most demanded skills and competences, which I can develop in myself and help others to work on in order to land a desired job. Obviously, those skills will help any person to do any kind of managerial job better, not limited by finance or consulting industries. I think nobody would argue that an entrepreneur as well as a banker or a consultant needs a logical and data-driven thinking to be successful. Analytical Skills – the ability to analyze tremendous quantities of data is a must-have skill for any student. Club’s curriculum includes workshops on building Discounted Cash Flow (DCF) models, which is a widely used standard for asset valuation. My team of passionate students will teach the basic topics required for understanding of the DCF. I hope nobody will need a mouse to use Excel by the end of the year. Problem-Solving Skills – we try to solve problems daily, so you may think it is already a developed skill. Even though, it may be hard to think of business problems in a structured and clear way. In order to develop that practical skill I included proven frameworks applied to solve business problems to the curriculum. Those frameworks will give students a helpful foundation to pass case interviews. We will have a bunch of Case Competitions, in order to hone that skill. The club is quite practice oriented, we already have lectures to absorb the theory, so the core club’s activities are going to be Stock Pitches, Case Presentations and Business Debates. Another really important goal of the club is to establish an environment for discussing, sharing and supporting. The network of like-minded people will leverage your growth hugely. Sure, you can develop almost all the skills on your own, but being in a right company may turn your personal growth from linear to exponential!